A sparkling treat for your little lady. 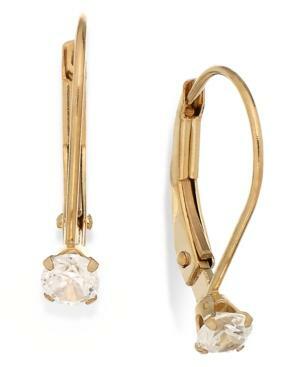 These leverback earrings flaunt round-cut cubic zirconia accents in 14k gold. Approximate drop: 1/2 inch.